Last spring The Hunger Games set off a new wave of fantasy movie buzz with it’s tidal wave of popularity and financial success. 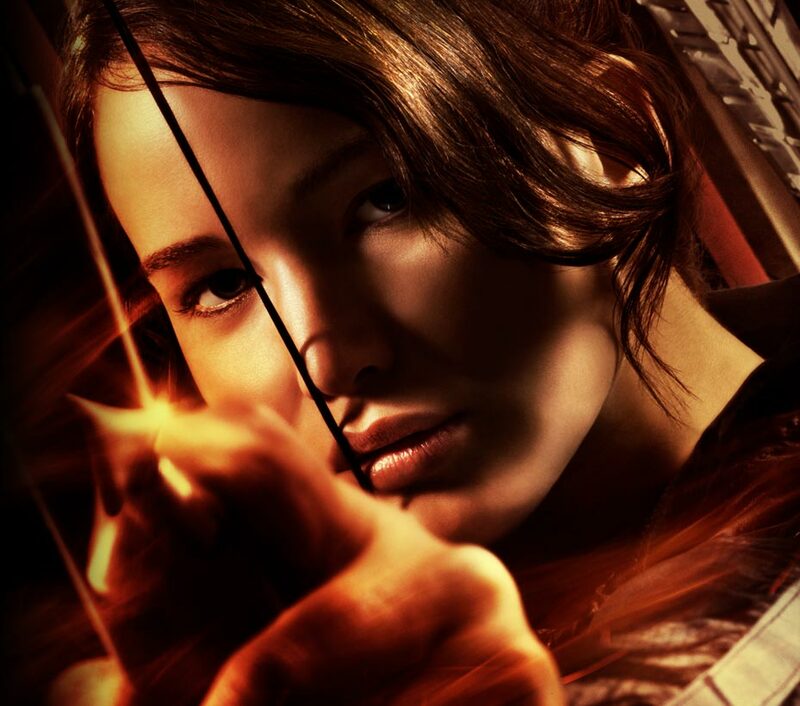 The second film installment, Catching Fire, is sure to be even bigger when it premiers Nov. 22, 1013. This post will look at the film The Hunger Games as well as the book trilogy which birthed the movie series. So, be warned, mild spoilers lie ahead. To start, I love the series’ social commentary on starvation, poverty, and oppression. Though other films and books have tried to discuss the same issues, not many have found that incredible balance of subtle-but-powerful that Suzanne Collins created. The Humer Games’ fictional pseudo-kingdom of Panem, a dystopian North America that doesn’t shy away from violence, mirrors problems of the real world in an accessible way only fantasy can project. Right after she leaves District 12, Katniss’ train to the Capitol contains many lingering shots of a rich buffet in the dining car. The film, as well as the book, juxtaposes District 12’s pervasive hunger with abundant food imagery in wealthier locations. This theme fills the entire trilogy, from flashbacks of Katniss’ family drinking mint tea to fill their empty stomachs to a Capitol party where the fashion is to publicly purge and go back for another stomach-full of food. From these scenes, the Capitol strikingly resembles America’s perchance for over-consumption while many areas of the world live in perpetual hunger. The site Mindfully gives some eye-opening statistics about our consumption in relation to other countries; the U.S. tosses 200,000 tons of edible food daily, and eats extra, unneeded food that would feed 80 million people. The Hunger Games draws much of its content from such realities, including Katniss’ reaction to the Capitol. Though Katniss is momentarily dazzled by the new world of food she has entered, she can’t look at it without thinking of the thin, gaunt faces she knows back home. Never is there a big meal or a banquet celebration without her thinking back to District 12’s lack of sustenance. This juxtaposition of starvation and decadence shows two economic extremes that our world also faces. In Katniss’ world and our own, the poverty gap is a real concern. Wealth vs. poverty is another social commentary theme Collins draws from. While this socioeconomic gap becomes prominently gross as the series progresses, the first installment suavely introduces it with the hunger game lottery rules. The citizens desperate for food enter their names extra times for essential staples. The poorer the family, the more times the child enters themself. One review calls such children “economic conscripts. As one New York Times article puts it, for people like Katniss, this practice is essentially “a death sentence — no one from the underfinanced and under­nourished District 12 has won in decades.” These conscripts must face against their wealthier counterparts, who are trained from birth for the hunger games and have significantly higher odds of winning. There’s certainly more connections to be made. Katniss fits the bill for a sustainable heroine: she’s happiest when she hunts and forages, preferring untouched forests to overcrowded cities. And Katniss never lets things go to waste if she can help it [much like another hero in a previous post]. Though I’ve only scratched the surface of all that lies bubbling beneath The Hunger Games’ popular draw [note: war, reality television, Jennifer Lawrence’s incredibly complex performance, the seemingly-inevitable-love-triangle], I am excited to see how this story will play out further on the big screen. Categories: Sustainability & Film | Tags: Economics in Media, film, Food, Hunger Games, Jennifer Lawrence, Panem, Poverty, Suzanne Collins, War, World Hunger | Permalink.